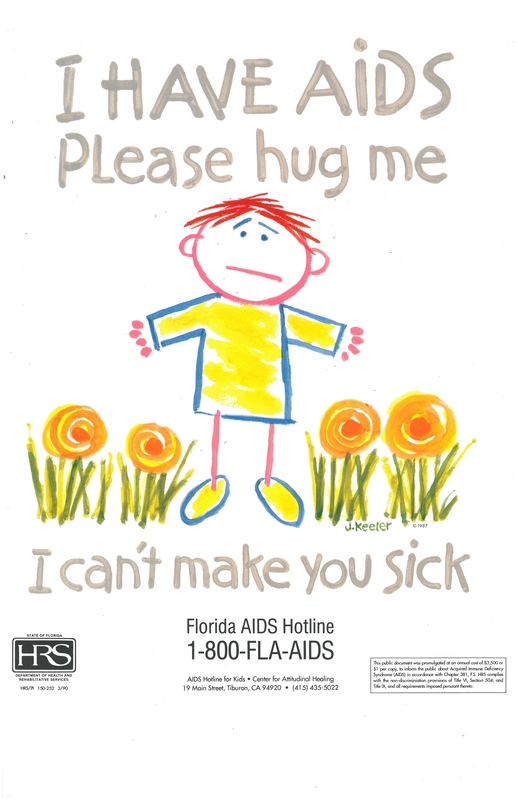 State of Florida Department of Health and Rehabilitative Services, 1987. Today, health care professionals can use multiple tests to detect HIV infection. Where available, drugs therapies allow people to live with HIV for many years before developing AIDS. Of course, this was not always the case. In commemoration of World AIDS Day on December 1, we are revisiting some of the voices published in the early years of the epidemic. In 1982, 14 doctors presented their front-line experiences at an international symposium, the proceedings of which were published in book form the following year. Their frustration with their inability to successfully treat their young patients rings out clearly. Where are we today? Even with so much knowledge about prevention, the CDC estimates that 50,000 people in the United States become newly infected with HIV each year; about 33,000 people receive AIDS diagnoses. In the United States, HIV incidence in people aged 13-29 rose 21 percent between 2006 and 2009. Prevention education remains essential. Visit the CDC’s Act Against AIDS page or World AIDS Day’s website to find out more about current prevention and testing measures. For a year-by-year timeline of the HIV/AIDS epidemic in the United States, visit AIDS.gov. Cahill, K. M. (1983). The AIDS epidemic. New York: St. Martin’s Press. Gold, J. W. M., Armstrong, D., Sears, C. L., Henry, S., Donnelly, H., Brown, A. E., …Wong, B.(1983). Acquired Immunodeficiency Syndrome: Infection and Neoplasia in Homosexual Men and Intravenous Drug Addicts. In C. S. F. Easmon & H. Gaya (Eds. ), Second international symposium on infections in the immunocompromised host (pp. 105–113). London: Academic Press. This entry was posted in Collections, History of medicine and tagged AIDS, health, history of medicine, HIV, medicine, World AIDS Day by nyamhistofmed. Bookmark the permalink. World AIDS Day on 1 December brings together people from around the world to raise awareness about HIV/AIDS. so i like this post..